Bistro Guillaume… oui oui! | 15,000kms of Food! 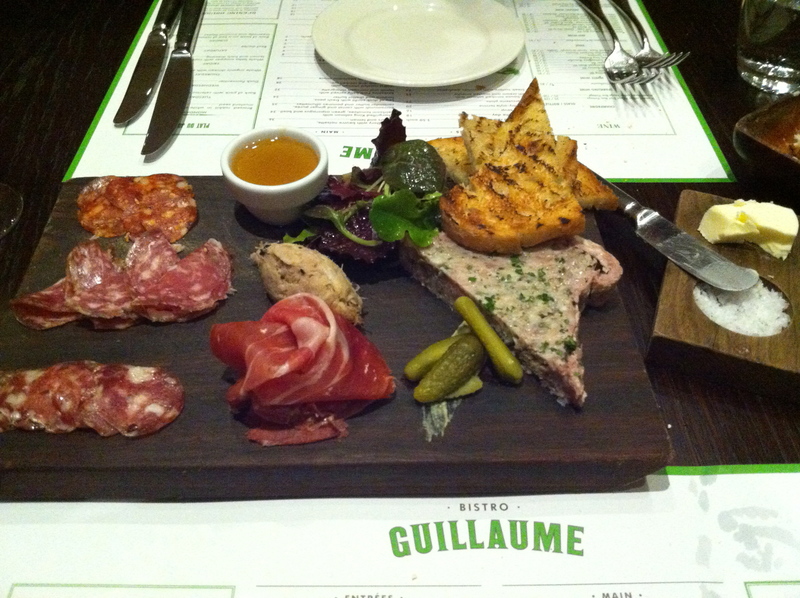 Another great dinner at Bistro Guillaume. As most of you know, Bistro Guillaume is currently my favourite French restaurant in Melbourne. Casual atmosphere, fantastic food, good value for money and a good selection of French fare. Started with the delectable “Charcuterie Plate“. A selection of cured meats is served alongside foie gras pate, savoury crispy toast, terrine and a rilette. A couple of crunchy gherkins accompany to break through the richness of the meats. A good selection, all very tasty. 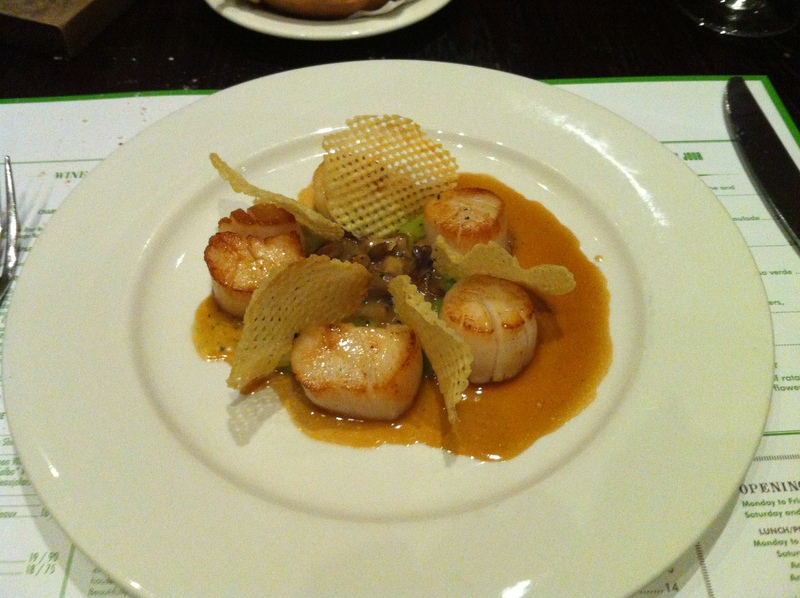 The “Scallops with Mushrooms and Potato Crisps” is from the specials menu. Five plump juicy scallops sit surrounding a thick mushroom ragu, garnished by potato crisps. Very delicious and tasty. It’s not a big dish, so works perfectly if you’re intending on having an entree, side and/or dessert to go with it. 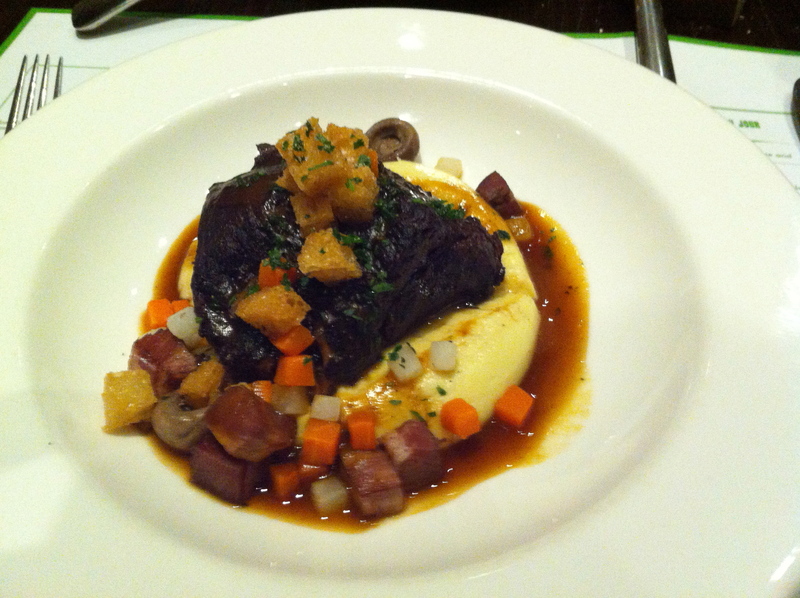 The “Beef Daube” is a beef stew served atop a creamy mash potato. The meat has been cooked to tender perfection and the sauce is thick yummy goodness. 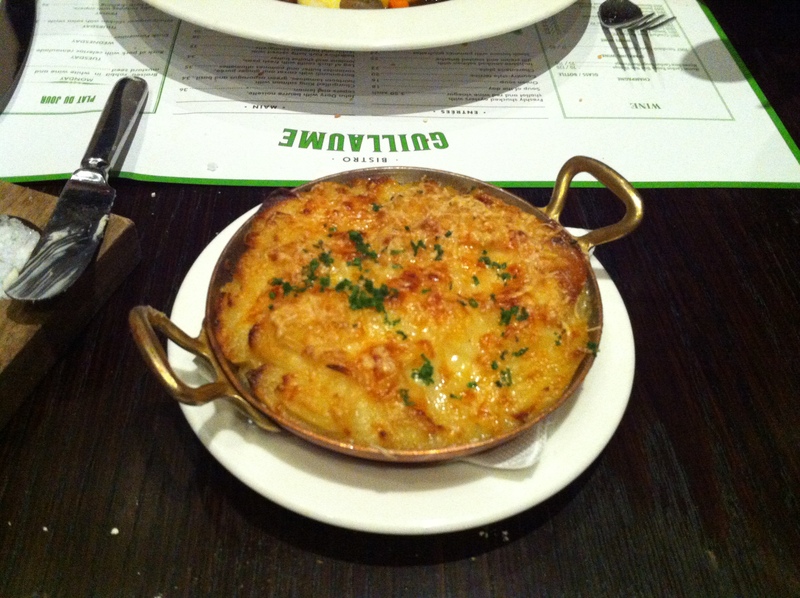 We had the mains served with “Cauliflower Gratin“. The crispy cheesiness went exceedingly well with our mains.